I’ve tried everything – how is your program different from other diets? First, let us applaud you for already trying to affect your health with food. That means you’re already being proactive about improving your hormonal health naturally, which makes you a great candidate for our approach. We know there is a lot of conflicting and confusing information out there, and what we’ve proved after over a decade of clinical practice it that it’s about doing the right things in the right order that will create the internal environment you need to get things balanced. Our program is different because it’s not just a diet – it’s a lifestyle and way of understanding your female body that helps you create lasting changes. It’s a combination of hard science and a compassionate knowledge of feminine energy. I’ve already read the WomanCode book. How is the online program different? Is it necessary to do both? It’s totally possible to learn all about the 5-step protocol and how to implement it just by reading the book, but it’s much more likely you’ll put it all into practice by doing the program. The online program is more in depth, and provides the structure and support necessary to hold you accountable. Our expert counselors are there for you to help customize your experience and ensure you are doing what’s right for your body. Here at FLO Living we do not work with healthcare providers, so we don’t take health insurance. But contact your healthcare provider directly. You might be able to get reimbursed, depending on your plan. Any way you look at it, your health is an investment that is worth taking. Healing your hormonal health conditions now will prevent more serious issues from developing in the future, and that is something that can certainly save you and your insurance company lots of money! We hope that more healthcare providers begin to offer coverage for holistic programs like ours. Does the course apply to women in menopause or who have had hysterectomy? I’d like to invite you to check out Dr. Christiane Northrup and her work on Post-Menopause. You can visit her site here and find many resources such as her Womens Wisdom Circle, her book “The Wisdom of Menopause” and links to her weekly podcast and newsletter. For a more structured approach, please look into womentowomen.com. They offer nutritional programs specifically for women in menopause. What kinds of foods will we be eating in the program? Can you give me an example? You will be eating a variety of whole foods: vegetables, fruits, whole grains, proteins from vegetarian and animal sources. The quanity and combination varies according to your symptoms and your unique biochemistry, which we will help you determine throughout the program. I live in a small town – will I be able to find all the recommended foods and supplements at my local grocery store? Most if not all of the recommended foods can be found at a local grocery store. If you are not able to access supplements at local spots, you can visit a website like iherb.com and have them shipped directly to you. We have clients from around the world in our program and it usually is not an issue. I’ve been raw vegan for awhile now and am not getting my period. I really don’t believe in eating meat for ethical reasons – is there a way around having to eat meat to get my period? It’s hard to give a definitive answer without knowing your specific case. You absolutely can go through the protocol without introducing animal protein. Balancing your blood sugar and supporting your liver will do a lot to get your hormones flowing, but if it still doesn’t instigate a period in your case, it might be time to slowly and gently introduce animal protein into your diet. Remember that it doesn’t mean you’ll have to eat it forever, but it could be the right medicinal choice for your endocrine system at this time. I think I eat pretty healthy already. What’s the missing piece for me? “Healthy” is a relative term. We don’t doubt that you’re knowledgeable about food and doing the best you can to make health-conscious choices, but when it comes to your hormones, it’s often more complicated than that. The missing piece is understanding the science behind your hormonal patterns as a woman and integrating that with your unique needs and biochemistry. We guide you through that process. I have a family and am scared my husband and kids won’t like the new food I make. How can I help them adjust? It’s always a process to adjust to new food habits, but we are all for making it as easy and tasty as possible. You can slowly introduce new foods into your family meals and we recommend sharing some of the videos and handouts with your partner and children so that they feel included in your process. I’m single and work a lot and don’t have time to cook. Will I still be able to do the program? Absolutely. We can help you locate time-saving yet delicious and healthy options that will allow you to stay in the protocol but still live your life. I recently had bloodwork done and the doctor said everything was fine. I still feel off and know something is wrong. Can you help? Yes. This is one of the most common complaints we hear. Traditional medicine is great at treating extreme situations, but not as great as treating symptoms that are undiagnosed. The integrated process we’ll take you through will touch on all the essential underlying causes to your hormonal imbalances so that your endocrine system can once again find its natural balance. Do I need to get bloodwork done before starting your program? It’s not necessary, but can be helpful especially if you’ll be working with one of our counselors. We can help you translate the results and also track your process as you go through the program. If I’m taking the birth control pill, how will that affect the program? Do I need to get off of it to do the program? There really is no way to wean off the pill, but we recommend getting started with the program before stopping the pill. 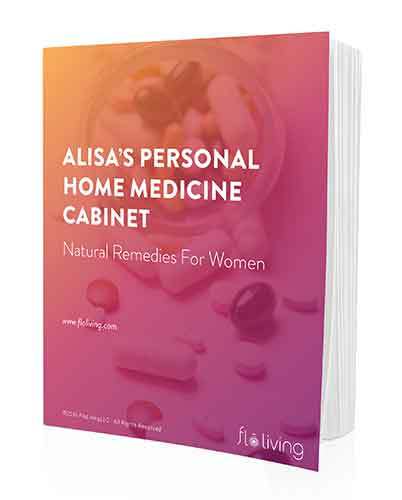 Being on the protocol for a few months, you’ll be helping your body and hormones to naturally find balance and therefore will be more prepared for the hormonal shift that happens when you get off the pill. That being said, we’ve also had women get off the pill before starting the program and it worked out great that way too. Women often experience symptom shifts when coming off the pill, so be aware and ready for that, but try not to stress. Every woman is different. We recommend consulting your doctor, your FLO counselor, and your intuition before making a decision! What if I’m taking thyroid medication, antidepressants, or other medication? Can I still do the program? Yes! We don’t suggest quitting any medication cold turkey or without the guidance of your doctor. The protocol will help your system find natural balance, and you might want to wean off of medications with the support of our program and your doctor. We seen many women reduce or eliminate their thyroid medications, and wean off of antidepressants after doing our program. I’m trying to conceive and my doctor recommended IVF. Can I do your program too or do I have to choose one or the other? You can absolutely do both! The food changes recommended in our program have been proven to improve the effectiveness of IVF and IUI treatments, so we wouldn’t want you to go through them without us! Depending on your age and situation, it’s also possible to do our program and try naturally before going that route, but that’s something unique to each woman. Can I do the program while I’m pregnant? The only piece of the program we don’t recommend doing while pregnant is the cleanse/detox. The food templates will still be relevant, although your cravings might shift things a bit and we definitely support that! What if I don’t want to get pregnant yet? No problem! Our hormonal synchronization protocol will help you understand your cycle so that you can plan your natural birth control around your ovulatory cycles and avoid pregnancy.